We've released 4.9.2! 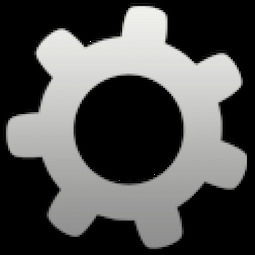 This version has some bug fixes and small improvements to current features. There are some critical instructions for upgrading. Please fully read the blog and follow the new upgrading instructions. 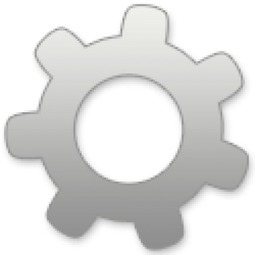 The special patch in the blog won't be needed when upgrading versions above 4.9.2. Penny Room Host Well, I didn't know about any patch I just saw the upgrade available and installed it. Site works ok except the albums plug in isn't working correctly. Would the patch fix this? I already installed the albums upgrade as well. Should I install the patch now? Feeling out of the loop here. Hire-Experts LLC develops SocialEngine plugins and templates, provide SocialEngine customization services. Mikel Coreclark hi, just a quick question. I'm just writing up my upgrade plan. Also I see that a couple of plugins are still v4.9.1 . are these going to be upgraded also at a later date ? My site the other day was showing members on line the wrong numbers of members on line. I recall answering this recently for someone. I'm not sure if it was for you or not. The IM chat shows based on the task schedule settings. Our team had mentioned in github for another client to check those settings and if it still didn't work after changing the settings, and if you are using the most current version of our script, to please contact our support for assistance. You would need active support in order to send us a ticket for help. New Feature request area open. We've moved all (almost) of the feature requests from our bug tracker and put them into the new feature request area. This will allow our team to see issue reports and hopefully get them fixed faster. This will also allow us to see new feature requests and mark the ones we have interest in, or the ones we won't be handling for third party developers to consider. We figure this will be a win/win for all involved. Third party experts will have an easier time seeing what you want by just clicking the label filters once we get things rolling there. From now on, please post feature requests in the new area (unless posted here in our community). Please keep the bug issue tracker only for bugs. gs Thank you thank you thank you. This makes so much more sense. Question: What determines whether a FR should be posted here or at github (other than possibly an Site-ADMIN having an account at one place but not the other)? phpv4-feature-requests - The purpose of this repository is to collect SocialEngine PHP public feature requests. SocialEngineaddons are requesting a URL in order to download license key for plugins from their site, does anyone know what this is used for? gs As usual, Eugene is correct (Eugene/Webhive are excellent Devs). Good question as I wished it was explained properly 2 years ago when I was lost trying to understand. Since it seems that sub-domains are treated as domains, then you would be allowed to use 2 of the above, but not all 3, and would use both of your available licensed domains. So, since I use SEAO as well (and several other Devs' Plugins), and SEAO actually allows you to go to your files/license page to make your own changes, I have all Plugins configured for mysite.com and live.mysite.com (which I may change at any time and then just copy the new Keys to my site; but then I'd also have to contact all other Devs of my other Plugins that have cores to update them for their Plugins to work). For me, I chose to keep all development folders (dev/stg/tst/prod for different versions) on one domain (mysite.com), and the live/production folders at a sub-domain (live.mysite.com). I did this with the hopes of needing it in the future - in order to easily place the prod environment on a completely separate server/setup. I'm open to correction of course as I'm not an expert - just basing this on what I've been informed by 6-7 of the Devs I work with, and some actual experience. Eugene It's used to prevent unauthorized installation of plugins on multiple domains. Here's a security tip for everyone. Donna That's a great tip. It's always best to call and confirm before giving any details. There are many scams now-a-days. I'm always called by "windows support" which has been a scam forever. The scam you mention could cause people to give sensitive information that they shouldn't be giving out. When in doubt, hang up and call a manager of the company that is supposedly contacting you. Mikel Coreclark Hello All. Mikel here. I know this post my appear odd on the forum but please read on..
Today I was telephoned by a man claiming to be from my Internet service provider. This man said that my IP address was being used to send out illegal emails and services and that he needed my account details for my IPS account and my Host server account to combat the issue or I will be prosecuted. As by now you may be aware of the malware threat that has gripped the world (mostly those computers using [ windows xp or windows with out the latest security]. well the criminals are circling like sharks to gain access to your computers and servers. PLEASE BE AWARE> spread the word to all your site members not to give out any details and be Vigilant. If we can do our bit to protect our selves and our server hosts and site members, we can help put a stop to the threat. I'm sure this is a simple easy to find setting but I can't seem to locate it. Your help would be greatly appreciated. Mikel Coreclark Hi, what exactly is the problem with your email. There are 2 sections to emails. 1st is your site settings in your admin panel on your site itself and the 2nd is your server host email settings on your server admincp. Question01: If I deselect all of these, then these become the initial settings for newly signed-up Users? Question02: Assuming the above is yes, if I then disable the menu option to display these settings to Users, they won't be able to override these? Just looking for a temporary fix until the entire notification/email-notification section gets revamped. Thanks. Since upgrading to 4.9.1 none of my ad campaigns will work. I even deleted some and tried them again and same results. The campaigns were all still there but when trying to place them in the layout editor they will not display on the site. Any ideas? Anyone else having this problem? Scott Donna, are there any updates for this issue? I would think it would be somewhat of a priority being that most social networks rely on advertising as a major source of income. I'm surprised it hasn't been addressed yet. Scott Thanks Donna, now that you mention it my homepage before logging in displays the ad as well but no other pages show ads when logged in. Donna I've added this as a bug as I can't get it to work. Our core developers will check into it. Sorry for the inconvenience. I am interested to know if I could change the size layout on my theme. I know I can change the number of people / events listings on the relevant search pages. So far they are both set by SE at 10 as default. I would like to get at least 25 to 30 listings per page. 2: what is the sizes I may need to shrink them to. 3: is this at all possible ? same question about changing the themes color. I have looked in the themes (theme,constants) but not sure if I'm looking in the right location. My host installed Redis on my server and they have confirmed everything was working fine however the Redis option is still grayed out in my performance & caching settings. I'm using php 5.6 right now. What could be the problem? Raymond Benc Did the host also install the PHP Redis class (https://pecl.php.net/package/redis)? Assigned network not able to choose other network? Hello friends, i need some feedback's on this problem please. I have created 2 networks and also 2 profile type called Listener and Disk Jockey. I have setup the listener to be auto assigned to listener network and disk jockey to be assigned to the disk jockey network after sign up. All is good except that the users assigned to a network can't see the other network if they want to join it.I went from a profile to the networks page and is saying in there that "There are currently no avaliable networks to join." I will like to auto-assign the dj's to dj's network and listener to listener network after sign up, but also let them choose to join the other network if they want. I did not check it the option " Yes, hide membership for this network." so it should be visible to others. New users unable to sign up? Has anyone had this issue on PHP? Every time we've tested it we get a different error code. First the captcha stopped displaying, we fixed that, now a user can get to the final steps of the sign up process, and then it fails for the user and says to contact the system administrator. Donna What errors are you seeing with development mode enabled or in your error log? 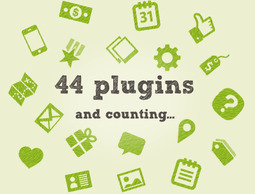 Are you using third party plugins? What version of SEPHP are you using? My live site and demo are not experiencing issues and my local installs are not but it's possible there is some other step you have enabled that I have not in my testing so it would also help to know your sign up routine (settings). PoeticJustice Would be awesome If 3rd party devs, gave a change log like devs do on envato codecanyon etc. I love change logs as you can see bug fixes, and tweaks, and then judge if the update is warrented. Donna This post is fine and might help clients avoid issues with upgrading. Just please everyone keep it civil as the original post is. I know things can heat up when sites break due to third party issues. We are aware of this continuing problem and have contacted experts to get their products updated ASAP. We'll be watching this thread as well. Mikel Coreclark Hei friendly people. I am cleaning up my themes. Some I can delete from my site but there are some themes I do not see an option to delete unwanted themes. How cani delete these themes ? Wondered if someone could give me heads on the diff check with Social Engine, Its always confused me, unless its a bug.So thought id check here. This is the list of files on your system that may have been modified since they were originally installed. If you decide to continue with this installation, they may be overwritten or deleted. To avoid losing any custom changes you've made to these files, you may want to cancel the installation and make backups. If you're not worried about losing custom changes to these files, you can continue with the installation. Does it only show files opened after first installed of such plugin? Because there are files that do not show up on the diff check, which are completely different, that have lines added and lines removed. How are they not shown on dif check? also related to this, is there any tools that can compare tar files and its contents, and all the lines of code on each file. "We looked into this query and `Different_different` appears when the client has changed a file and the same file has also been changed by us in the upgrade being performed. `Different_removed` appears when client changed something in the file and that file has been removed by us in the upgrade. We didn't find `Different` appearing in any case. So, if anyone is confused at some point and getting this "Different" type also, then please contact support along with a screenshot and we can look into this accordingly . " Hope that helps explain it. Please note that you would need active support for our technicians to check your tickets. Thank you for your post. I've asked our techs about your question as I don't have the answer. I hope to update this with an answer today.